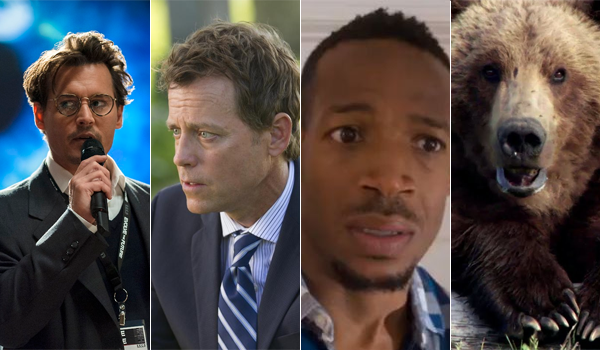 This Easter weekend will see the wide release of four new films: Transcendence, Heaven Is for Real (opening Wednesday), A Haunted House 2, and Bears. - Johnny Depp and Morgan Freeman give the film some crucial star power. - First-time director Wally Pfister could draw in some of the Christopher Nolan fanbase, with whom Pfister has worked as cinematographer for over a decade. - Flixster buzz appears very healthy. - Depp's drawing power has taken a major hit in recent years thanks to films like The Lone Ranger and Dark Shadows. - Sci-fi flicks have a recent history of underperforming at the box office. - Early reviews are discouraging, as well as is the fact that Warner Bros. has placed an embargo on official publications until release day. - Twitter and Facebook activity leave much to be desired for a film that should be generating a lot of Internet buzz. - Christian audiences have been turning out in droves for faith-based films this year (Son of God, God's Not Dead, and Noah to an extent). - Similar to Son of God, churches have pushed pre-sales for the film ahead of Easter weekend. - The novel from which the movie is adapted has generated strong sales over the years. - Online buzz metrics are strong. - With more competition in the market, Heaven Is for Real doesn't have quite the same level of hype going into release as Son of God. - Aside from recognizable names in Greg Kinnear and Thomas Haden Church, star power is one advantage missing from the film's arsenal. - The first film opened to a decent $18.1 million last year. - The Wayans name still carries some modest drawing power among the target audience. - Flixster and Facebook activity are very positive, trending ahead of the first film in some respects. - Comedy sequels generally tend to perform below their predecessors. - Aside from die-hard spoof fans, it's unlikely that Wayans will attract much more of a crowd. - Twitter activity leaves something to be desired. - Disneynature has a positive history with their Earth Day-timed releases. - Families looking for an alternative to Rio 2 may check this out. - Bears has an unfortunate lack of interest showing up in the usual metrics. - With Earth Day landing after opening weekend, some back-loading could occur. Check out our full weekend forecast in the table below. Transcendence Apr 18, 2014 Warner Bros.